Cologne’s Wallraf Richartz Museum has launched an impressive new exhibition entitled “Vincent van Gogh: Shoes,” built around a celebrated painting by the Dutch master from 1886. Some might wonder how an exhibition can be framed around a single work with such a modest subject matter, but the curators provide us an impressive model. The exhibition focuses on the extraordinary role this painting has played in modern philosophy surrounding art, its reception, and its relationship to the history of ideas. 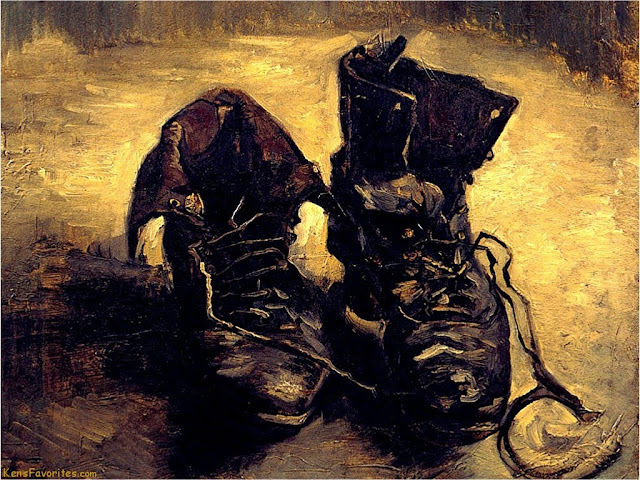 A half dozen philosophers and art historians have written about van Gogh’s painting of shoes, including Martin Heidegger, Meyer Schapiro, and Jacques Derrida. The exhibition takes us on a trip through their writings—sometimes comic, occasionally downright rude, and often exhilarating. These thinkers certainly bar no holds in their clamber to be exceedingly profound.